It was just a little under a year ago that I embarked on a three-week adventure in Peru and Colombia. If I could do it all over again, I would in a heartbeat. 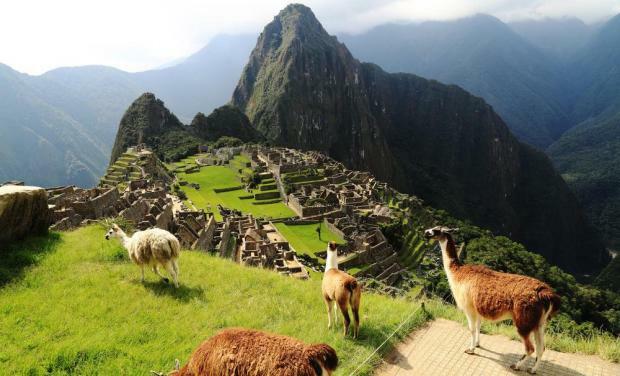 The beauty and colourful landscapes Peru has to offer are diverse and no words can describe the feeling of watching sunrise overlooking Machu Picchu. Peru is a Latin American gem which little countries can come close to, yet the country’s political, economic and corruption setbacks over past decades left the country mending its global reputation. Poverty is persistently present throughout the country, which is at the forefront of political agendas to tackle. The country struggled in the 1980s with internal armed conflicts, corruption scandals as well as a debt crisis which persisted well into the 1990s, whereby the Peruvian financial system subsequently became dollarised following a necessary 1998 IMF intervention. The capital, Lima, still bears the scars of past conflicts, with an abundance of poverty, a sense of insecurity and armed street patrols still present. Since the IMF intervention, natural resource rich Peru managed to maintain a decade of fiscal surplus peaking at $9.8 million in 2012, benefitting off strong export numbers and fiscal consolidation measures. Since the end of 2013, Peru’s trade balance showed a deficit, as the country over the past decade transitioned from the status of a net creditor to a net debtor. The strong export numbers helped the country prevent an earlier deficit through this change in status. Peru’s exports are 60 per cen t attributed to minerals, ores and fuels with the production of copper, silver and natural gas highly important to the economy. A good 20 per cent + of remaining exports relate to food products ranging from coffee beans, sugar cane all the way to a diverse range of agricultural products. The price volatility of Peru’s exports puts pressure on the country’s ability to maintain a steady trade balance. The country’s exports, in fact suffered substantially as a result of the commodity supply glut and the weak global demand seen since 2015, as imports increased and the trade deficit widened, putting pressure on the local Peruvian Sol. Nevertheless, the country’s strong exports over the years cushioned a large amount of international reserves for the central bank to intervene in the case of a currency crisis. Furthermore, Peru benefits off substantial investor monies from the likes of the UK, Spain and the US investing primarily in the mining sector of the economy, hence foreign reserves seem well in abundance. The first half of 2016 has seen a rebound in exports and a narrowing deficit. With the services sector currently the main contributor to GDP growth, Peru is showing signs of modernisation away from the industry sector and economists seem to think this is contributing positively to future GDP, with expectations for next year higher to the current year. The more the country modernises itself, the more potential tourism has in contributing to an already improving economy. I have no doubt that at some future point I will yet again be a part of that contribution to one of Latin America’s most stable economies. Disclaimer: This article was issued by Mathieu Ganado, Junior Investment Manager at Calamatta Cuschieri. For more information visit, www.cc.com.mt .The information, views and opinions provided in this article are being provided solely for educational and informational purposes and should not be construed as investment advice, advice concerning particular investments or investment decisions, or tax or legal advice. Calamatta Cuschieri Investment Services Ltd has not verified and consequently neither warrants the accuracy nor the veracity of any information, views or opinions appearing on this website.